East Peoria Columbus Club, Inc.
j. To distribute funds necessary for achieving the above purposes. Section 2. Powers. The Corporation shall have power to sue and to be sued, to hold, received, lease and purchase such real estate and personal property as may be requisite and expedient for its purposes, and to sell, lease, encumber and dispose such property. It shall have all powers granted to non-stock, non-profit corporations by the general laws of this State. Provided, however, the corporation shall not carry on any activities nor shall it have any powers prohibited to an organization exempt from federal income tax under Section 501 (c) (3) of the Internal Revenue law. In particular, but without limitation of the foregoing, the Corporation shall not have or issue shares of stock or pay dividends, no part of its earnings or assets shall insure to the benefit of or be distributable to its members, Officers, or other private person, except that it shall be authorized to pay reasonable compensation for services rendered and to make payments and distributions in furtherance of its authorized purposes. East Peoria Columbus Club, Inc. (hereinafter referred to as the “Corporation”) shall maintain its principal office in the state of Illinois in the City of East Peoria and in the County of Tazewell. The Corporation may maintain such other offices, either within or without the state of Illinois, as the Board of Officers may determine, or as the affairs of the Corporation may periodically require. The Corporation shall establish and continuously maintain a registered office in the state of Illinois, and a registered agent at the registered office as prescribed by the terms and the provisions of the “General Not For Profit Corporation Act” of the state of Illinois. The registered office may be, but need not be, identical with the principal office of the Corporation in the state of Illinois, and the address of the registered office or the registered agent, may be periodically changed by the Board of Officers. Section 1. Members. The members of this Corporation shall be solely the members in good standing of the Msgr. E.L. Grzybowski Council, No. 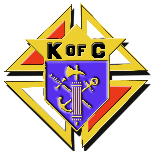 7580, Knights of Columbus (hereinafter referred to as the “Council”). Termination for any reason of membership in good standing in the Council shall automatically and immediately terminate membership in this Corporation and no terminated member shall have any further right, title or interest in this Corporation or in the privileges of membership therein. Section 2. Transfer of Membership. Membership in this Corporation is not transferrable or assignable. Section 3. Annual Meeting. An annual meeting of the members of the Corporation shall be held in the month of September each year, commencing with the year 1988, immediately after the regular meeting of the Council. If the election of the Officers shall not be held on the day designated herein as an annual meeting, or an adjournment thereof, the election shall be held at a special meeting of the members as soon thereafter as such special meeting may conveniently be held. Section 4. Special Meeting. Special meetings of the members of the Corporation may be called by the President, by a majority of the Board of Officers; or by a majority of the total members of the Corporation. Section 5. Place of the Meeting. Any meetings shall take place at the regular place of the Council’s meeting unless the Board of Officers determines otherwise. Section 6. Notice of Meeting. Written notice stating the place, the date and the hour of any meeting of the members of the Corporation shall be delivered, either personally, electronically or by mail, to each member of the Corporation, not less than five (5) days nor more than forty (40) days prior to the day of such meeting, by or at the direction of the president, or the secretary, or the persons calling the meeting. In the event of a special meeting, or when required by statute, by the Articles of Incorporation, or by these By-Laws, the purpose of the meeting shall be stated in the notice. If mailed, the notice of the meeting shall be deemed delivered when deposited in the United States mail, addressed to the member at the address then appearing in the records of the Corporation, with postage thereupon prepaid. Section 7. Quorum and Voting. Twelve (12) members of the Corporation shall constitute a quorum at either the annual or a special meeting. If a quorum is not present at any meeting of the members, the meeting must adjourn without further notice. The withdrawal of any member from any meeting shall not cause a failure of a duly constituted quorum at that meeting. The vote of a majority of the members present and voting at a meeting at which a quorum is present shall be necessary in order to adopt any matter voted unless these By-Laws require otherwise. d. To amend these By-Laws by 2/3 majority vote of the members present and voting. Section 9. Rules. Roberts Rules of Order will be followed except where in conflict with these By-Laws. c. Amendments to these By-Laws. No distribution of assets or funds shall be given to the same recipient more than twice in one (1) year without approval by a 2/3 majority of members present and voting at a meeting of the Corporation with the exception of regular reoccurring operating expenses. Section 2. Number, Tenure and Qualifications. The Board of Officers shall be comprised of seven (7) persons either ex officio or an elected Treasurer. Ex officio Officers shall serve on the Board of Officers as long as they hold their office in the Council. Each ex officio Officer shall cast one (1) vote on any action. (b)The Treasurer of the Corporation shall be elected from the members of the whole Corporation who do not hold one of the above ex officio offices of the Council. The Treasurer shall serve on the Board of Directors for a one (1) year term, which may be repeated. The Treasurer shall cast one (1) vote on any action. Section 3. Election of the Treasurer. During the annual meeting of the Corporation, the President shall call from the floor nominations for the Treasurer. Any member may present a nomination for the Board of Officers from the floor. After closing the call for nominations, by secret ballot, each member of the Corporation shall vote for one nominated person. The individual receiving the highest number of votes on the first secret ballot shall be declared the elected Treasurer who immediately is seated on the Board of Officers. Section 4. President: The president shall preside over all meetings of the members of the Corporation and the Board of Officers, and shall perform such other general and specific duties as may be periodically delegated to him by the Board of Officers. Section 5. Vice President. The vice president shall assist the president in the discharge of his duties as the president may direct and shall perform such other duties as may be periodically assigned to him or her by the president or by the Board of Officers. In the absence of the president, or in the event of his inability to act or refusal to act, the vice president shall perform the duties of the president and, when so acting, shall possess all the powers of, and be subjected to all the restrictions upon the president. Section 6. Secretary. The secretary shall record the minutes of the meetings of the members of the Corporation and the Board of Officers in one or more books provided for that purpose; see that all notices are duly given in accordance with these By-Laws; be custodian of the corporate records and of the seal of the corporation if one exists; keep a register of the post office address of each member; and perform all duties incident to the office of secretary and such other duties as from time to time may be assigned to him by the president or Board of Officers. Section 7. Treasurer. The treasurer shall be the principle accounting and financial Officer of the Corporation. Following standard accounting procedures, these By-Laws, especially Article VI, and any norms determined by the Board of Officers, the Treasurer shall (a) have charge of and be responsible for the maintenance of adequate books of account for the corporation; (b) have charge and custody of all funds and securities of the corporation, and be responsible thereof and for the receipt and disbursement thereof; and (c) perform all the duties incident to the office of treasurer and such other duties as from time to time may be assigned to him by the president or by the Board of Officers. If required by the Board of Officers, the treasurer shall give a bond for the faithful discharge of his duties in such sum and with such surety or sureties as the Board of Officers shall determine. Section 8. Regular Meeting. A regular meeting of the Board of Officers shall be held, without other notice than these By-Laws, at the same time and at the same place as the annual meeting of the members of the Corporation. Such meeting shall be known as the regular annual meeting of the Board of Officers. Within ten (10) days after the annual membership meeting the Board of Officers shall establish the meeting times, place and dates of regular meetings. Such regular meetings of the Board of Officers shall be held as determined by the Board of Offices. Members of the Corporation shall be free to be present and address the Board of Officers. The Board, however, may exclude all but members of the Board of Officers for purposes of discussion. Section 9. Special Meetings. Special meetings of the Board of Officers may be called by or at the request of the president or any two (2) Officers. The person(s) authorized to call special meetings of the Board of Officers may fix any place, either within or without the State of Illinois, as the place to hold any special meetings of the Board of Officers called by such person(s). Section 10. Notice. Notice of any special meeting of the Board of Officers shall be delivered at least two (2) days previously thereto by electronic or written notice to each Officer at his address as then appearing in the records of the Corporation. If mailed, such notice shall be deemed to be delivered when deposited in the United States mail in a sealed envelope so addressed, with postage thereupon prepaid. The attendance of an Officer at any meeting shall constitute a waiver of notice of such meeting, unless an Officer attends a meeting with the express purpose of objecting to the transaction of any business to be transacted at, nor the purpose of, any regular or special meeting of the Board of Officers need be specified in the notice or waiver of notice of such meeting, unless otherwise required by law or these By-Laws. Section 11. Quorum and Voting. The presence of four (4) Officers shall constitute a quorum to transact business at any meeting of the Board of Officers. If a quorum is not present, the meeting must be adjourned. For valid effect, an action must be approved by four (4) votes of the Board of Officers, unless these By-Laws provide otherwise. Section 12. Vacancy. The vacancy of an ex officio Officer is filled immediately when the corresponding Council office is filled. If the office of Treasurer becomes vacant, the members of the Corporation shall elect a new Treasurer as soon as possible. This newly elected officer shall complete his predecessor’s term of office. The Treasurer may be removed from office only by a unanimous vote of the remaining board of officers and a special meeting of the corporation must be arranged as soon as practical to elect a replacement. Section 13. Compensation. Officers shall not receive any salaries in compensation of their services rendered as an Officer; however, by resolution of the Board of Officers, expenses of attendance, if any, may be allowed with respect to each regular or special meeting of the Board of Officers. Nothing herein contained, moreover, shall be construed to preclude any Officer from serving the Corporation in any other capacity and receiving reasonable compensation. Section 14. Rules. Roberts Rules of Order will be followed except where in conflict with these By-Laws. The Board of Officers may establish any committee to achieve the purposes of the Corporation. The purpose, membership, authority, reporting and duration of the committee shall be determined upon its establishment. Section 1. Contracts. The Board of Officers may authorize any Officer(s), or other agent(s) of the Corporation to enter into any contract or to execute and to deliver any instrument in the name of and on behalf of the Corporation, and such authority may be general or confined to specific instances. Section 2. Checks and Drafts. All checks, drafts and other orders of payment of money, notes or other evidence of indebtedness, issued in the name of the Corporation, shall be signed by such Officer(s), or such other agent(s) of the Corporation, and in such manner as shall be periodically determined by resolution of the Board of Officers. In the absence of such a determination by the Board of Officers, such instruments shall be signed by the treasurer and countersigned by the president or, in his absence, the vice president. Section 3. Deposits. All funds of the Corporation shall be periodically deposited to the credit of the Corporation in such banks or other depositories as the Board of Officers may periodically select. Section 4. Gifts. The Board of Offices may accept, on behalf of the Corporation, any contribution, any gift, any bequest or any devise in pursuance of the general purposes of the Corporation, or in pursuance of any special purpose of the Corporation. The Corporation shall maintain accurate and complete books and records of accounts, and shall, in addition, maintain minutes of the proceedings of meetings of its members, Board of Officers and committees. All books and all records of the Corporation may be inspected by any member, or an agent or an attorney of any member, in pursuance of any proper purpose at any reasonable time. All books and records shall be reviewed annually by the Board of Officers and/or an audit committee appointed by the Board of Officers and the results of such review shall be reported to the Corporation at the annual meeting. The fiscal year of the Corporation shall be a calendar year. Whenever any notice is required to be delivered under the terms of the provisions of the “General Not For Profit Corporation Act” of the state of Illinois, or under the terms or the provisions of the Articles of Incorporation of the Corporation, or by these By-Laws, a waiver thereof, in writing signed by the party entitled to such notice, whether prior to or subsequent to the time stated therein, shall be deemed equivalent to the delivery of such notice. The power to alter, to amend or to repeal these By-Laws, or to adopt new By-Laws on behalf of the Corporation, shall be vested solely and exclusively in the members of the Corporation. Such action may be accomplished at the annual or special meeting of the members of the Corporation, by a 2/3 majority of members present and voting. The By-Laws of the Corporation may contain any terms or any provisions governing the regulation and the management of the affairs of the Corporation not inconsistent with the law or the Articles of Incorporation of the Corporation. The Corporation shall indemnify all Officers to the full extent permitted by the “General Not For Profit Corporation Act” of the state of Illinois. Any possible conflict of interest on the part of any Officer shall be disclosed to the other Officers and made a matter of record when the interest becomes a matter of Board action. Any Officer having a conflict of interest shall not vote on the matter in question and the minutes of the meeting shall reflect such disclosure and abstention. The foregoing shall not be construed to prevent an Officer from stating a position on the matter in question or from answering pertinent questions from other Officers. Upon termination of existence of this Corporation, in any manner, all of the funds, assets and property of any kind owned by the Corporation shall be turned over, in full, after payment of all liabilities, to the Council or to a Catholic organization recognized by the Internal Revenue Service under section 503 (c) (3) of the Internal Revenue Code. With all previous By-Laws notwithstanding, these By-Laws are adopted by a 2/3 majority vote of those Members of the Corporation present on _________________.